We eat a lot of oat-based foods in this house because of my wheat sensitivity. Breakfast cereal as a consequence is invariably Muesli in summer and Porridge in winter. Yes you can buy GF cereals but at a premium and fortunately, as I am not celiac, I do have some choice in that area. I mix my own muesli because most brands off the shelf contain wheat bran, and those that do not tend to be rather expensive. 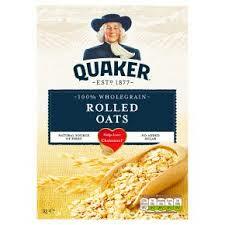 Porridge is always made with the largest-grained rolled oats that I can find. Not only does it seem to have a better flavour but more importantly because it has some semblance of texture. Using a microwave porridge is simplicity itself to make and does not have to involve standing over the stove top stirring like crazy for half an hour. As an added bonus it is also very forgiving over quantities. 1/2 cup of oats to 1 cup of liquid (water or milk of some variety – the choice is yours) is sufficient for the average appetite. (Liquid can be adjusted to preference) Place in a large bowl, cover, and cook in a microwave for approx 8 minutes. As a general rule I add a generous handful of fruit to the bowl whilst cooking. The stronger flavoured berry fruits seem to work best. Currently I am still using up frozen blackberries picked last summer and as frozen fruits obviously need to be thawed I may as well do that in the microwave whilst cooking the oats. Occasionally I may use dried fruits such as cranberries or raisins and these will plump up when cooked. If I am using more delicate fresh fruit such as strawberries or blueberries, however, I often find it best to add them after cooking. What you add to the mix once it is in your breakfast bowl is down to personal choice. I top the fruity porridge with my daily cholesterol yoghurt drink and sometimes spoil myself with a large dollop of Greek yoghurt to finish it off. If the fruit is sharp I may add a half teaspoon of brown sugar or honey. 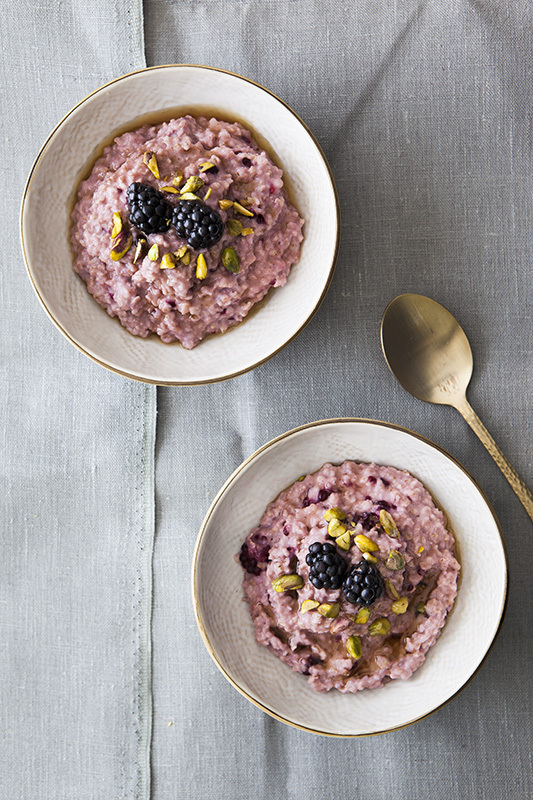 The variety you can give to a humble bowl of porridge is vast as well as tasty. That is the recipe part. Now for my food review. 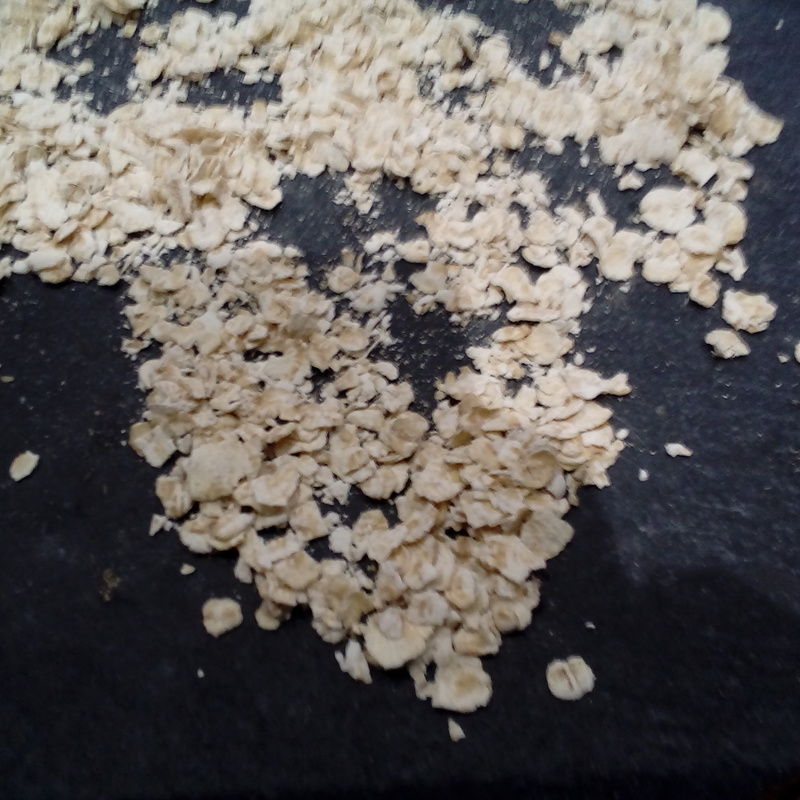 As I have already said above I use large grained oats, which is sometimes, but by no means always, called Jumbo oats. Today I bought a box of “Quaker Oats 100% Wholegrain Rolled Oats” because it was the Quaker product that the supermarket (Sainsburys on this occasion) had on the shelf. 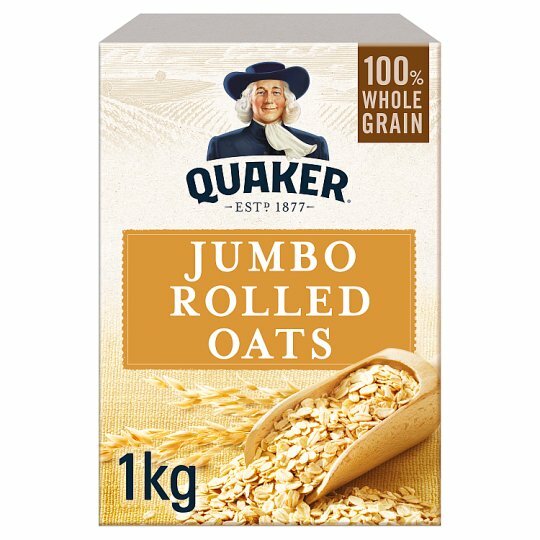 Some basic research after reaching home tells me that Quaker do in fact sell a “100% Wholegrain Jumbo Rolled Oats” but now comes the interesting part. So far as I can tell the illustrations on the Jumbo and Rolled oats packages would appear to be identical. How is one supposed to tell the difference? One company’s Rolled oats, it seems, is another one’s Jumbo. The illustration on the box seemed to indicate that it was what the large type of oats that I prefer. At this point I have to say I applaud the use of cardboard packaging as opposed to plastic bags. But here is its one and only drawback – you cannot see and evaluate the contents. Obviously one does not expect illustrations to be ‘actual size’. That would be a nonsense. 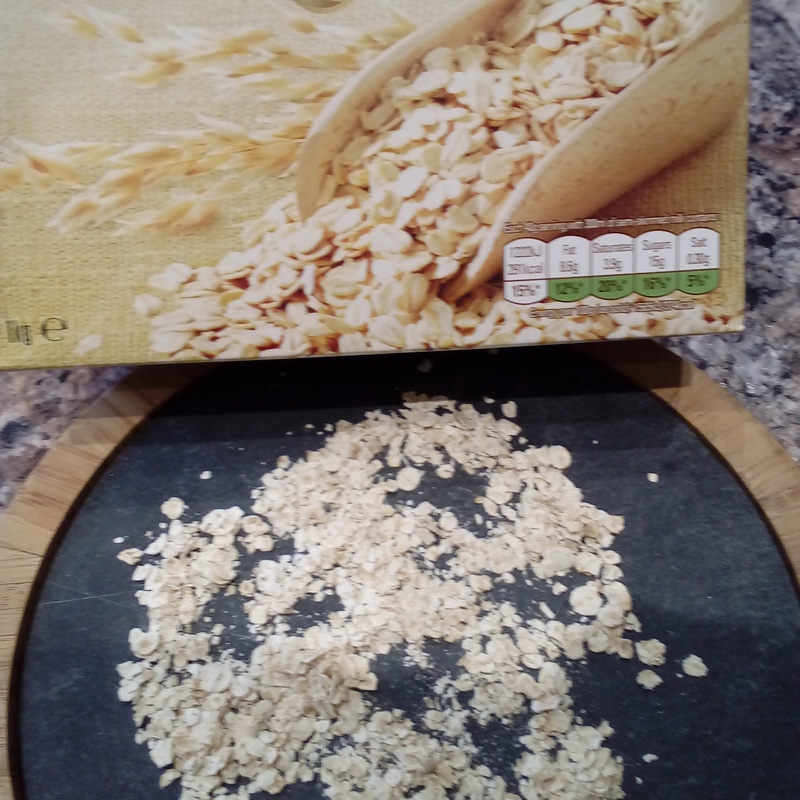 But in this particular case I do feel that the contents fell rather short of expectations because on opening the package I found the oats to be considerably smaller (and dustier) than expected. Possibly half the size illustrated on the box. Certainly not the chunky variety of rolled oats that I had expected. I shall mark this one down to experience. I should know by now that I should do my research before shopping. But learn from my mistakes. What you see on the box is not always what you are going to get. I can use the ground oatmeal (which is essentially what I have) for cooking flapjacks or similar, so it will not go to waste, it does however mean that I have to go back to find a product more suited to the purpose.